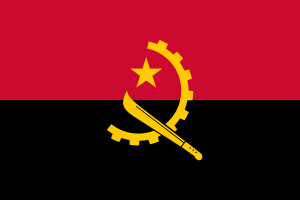 Republic of Angola Quiz Trivia and facts - Anthem: Angola Avante!- Forward Angola! 1. When did Angola become independent? 2. Which ocean is to the west of Angola? 3. Which country is to the south of Angola? 4. When was the Battle of Mbwila? 5. When was the export of slaves banned in Angola? 6. Who was Angola’s first president? 7. Who was Angola’s prime minister in 1993? 8. Which is the capital of Angola? 9. Which is the currency of Angola? 10. Which is the official language of Angola?